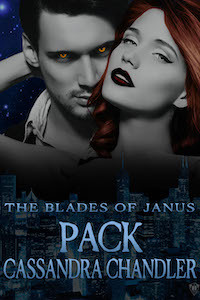 The cover for the next Blades of Janus book is finally done, and I’ve also made a new cover for Pack to go along with it! I love how these turned out ❤ I also tweaked the logo a bit for the series. 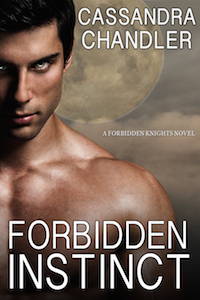 Before I show you the covers, I want to warn you that there are spoilers ahead! Remember that character I mentioned a bit ago? The one that’s a plot twist from the first book? Well, as the hero of the second book, he’s kind of on the cover 😉 And it’s hard to talk about the book without mentioning him. Okay, on to the awesomeness! I’m going to start with sharing the refreshed cover for Pack, because, you know, drawing out the dramatic reveal 😉 Here it is! I won’t be updating the files on sellers for a bit, but wanted you to see how it looks with the new series design. I love how it turned out, and can’t wait to see this version in print! But you’re here for the big reveal. You want to know more about the second book! And there’s a lot to share. First off, the big spoiler. There is so much that I love about this new book. The plot, the backstory, the development of the world and of all the characters’ relationships, the sweet yet strong heroine, Meg. 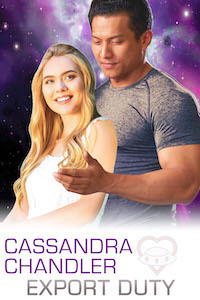 We get to see that Tessa is not coping very well with her change, but that Vaughn made good on his promise to replace her arm (with very unexpected side effects). And even though her brother and father are with her again, there are very real and very dangerous barriers to them truly being a family. Brock is so very, very hot. There is a reason the left side of his face is cast in shadows, though. Eventually, I’ll be sharing the un-shadowed version with my newsletter subscribers. Be sure to sign up if you don’t want to miss that and other awesomeness! There will be plenty more about this and the next Blades of Janus book, so stay tuned. Thank you for reading! Next Post Progenitor is Available for Pre-Order!